The village is set in a huge parish of some 4900 hectares (12108 acres) in area and includes the village of Methwold Hythe and the comparatively new village of Brookville which is also situated nearby. The lower part of the settlement was known as "Bunting" and Bunting's Lane still exists today. Indeed, this area seems to have been the centre of the original settlement. Elden's Lane now leads to Hall Farm, in Saxon times the site of the Ealdorman's House. Remains of an early Saxon church have been found on the site of the later tithe barn belonging to the Augustinian Priory of Brumwell (Broomhill/Brumble). 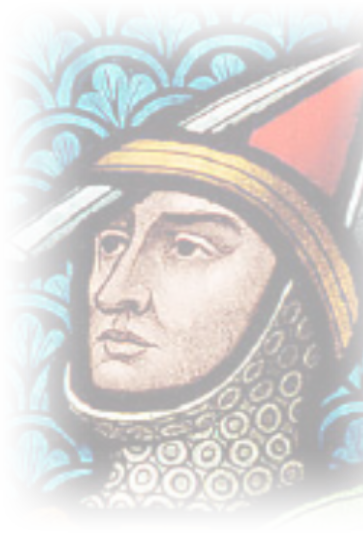 At the time of the Norman Conquest, Stigand, Archbishop of Canterbury was the Lord of the Manor, but after 1070 William the Conqueror gave huge estates including Methwold (and Snettisham and Castle Acre) to William De Warenne as thanks for his loyal support. Because of its excellent location, the settlement was the site of one of the three fortified houses built on the edge of the Fens in 1070 as part of the campaign against Hereward the Wake which finally ended Saxon rule. 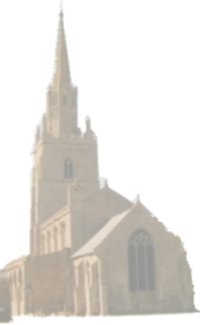 William De Warenne chose a site on the high ground slightly away form the village centre and just to the north west of the present church. 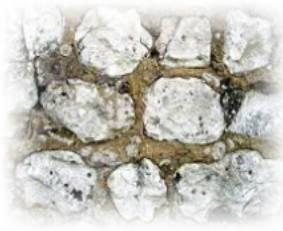 The house later fell into disuse and some of the plundered flint and stone can be found in the walls of the church and the later three storey Jacobean mansion, situated near the north gate of the church. 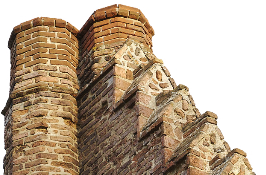 This property, with its gable in chequer work or red brick and flint was formerly the residence of the Peck family of Stamford Hall, Essex, and their Coat of Arms is carved in stone near the top of the gable. The settlement grew and in medieval times a market was held on Market Hill where the market cross still stands within the churchyard. The cluster of cottages behind the church mark the first site of "squatters rights" built when the fair became a regular event and the fair people chose not to move on. The De Warenne line ended by 1347 and the Manor of Methwold passed to Thomas Earl of Lancaster and ultimately, through the Lancaster line, to the crown. The queen is still lord of the manor by virtue of the Duchy of Lancaster although some land within the parish still belongs to Christ's College, Cambridge. Maps from the 16th century show a huge warren of 1500 acres on the sandy soil to the south east of the village; Methwold became famous for its abundance and excellence of it's rabbits which were sold by poulterers as "Muel Rabbits". A meal of Muel Rabbits was reputed to have pleased Charles1 to such an extent that he granted the village a charter for a market to be held every Tuesday. The settlement had become a Market town but the parish lands had changed again in the 1630s as a result of Vermuyden's comprehensive plan for draining the many thousands of acres of fen. the cut from Earith to Denver to take flood water more directly to the Ouse estuary, bypassing the winding course of the Old River Ouse, and the Old Bedford River completed in 1631. 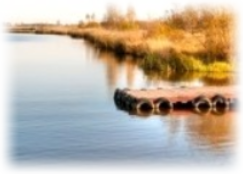 At much the same time, another drain known as Sams Cut, was cut across the Methwold and Feltwell Fens running north westwards and taking the water from Feltwell direct to the Great Ouse. As a result of these “cuts”, large new allotments (severals') were granted to the Crown and to private individuals from the former common fens. After the civil war further cuts were made (including the New Bedford River) and large blocks of fenland were allocated to investors. Some traces of the ownership at that time can still be seen in names such as King’s Lynn and Queen's Ground in Methwold, and in the ladder pattern of drains and fields, in the middle of Methwold Fen. 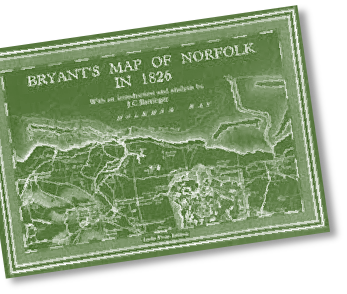 Although Bryant's map of 1826 shows a settlement in much the same basic form as it is today, the makeup of Methwold changed rapidly through the second half of the 19th century. The market, which was obsolete by 1809, returned and in 1879 is recorded as being held on Mondays for the sale of cattle and corn. 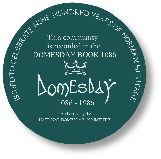 Records also show that a fair for horses and cattle was held on each 23rd April, and a Hiring session on Tuesday before old Michaelmas. The school was built in 1858, six almshouses in 1880 and St. George’s Hall in 1893. Between 1879 and 1891 a new road called Poplots Road was constructed from Southery to Feltwell, and in 1883 a branch railway line was built running form Denver to Stoke Ferry. The two transport routes opened up Methwold Fen to agriculture and by 1900 the village had a sub branch of Gurney’s Bank (now Barclays) of Thetford which opened on Mondays. In 1889 Robert Goodritch founded his farming model, a cooperative called the Methwold Fruit farm Colony, just outside the village. Despite the much improved transport links the colony failed but its form remains today in the small village of Brookville. 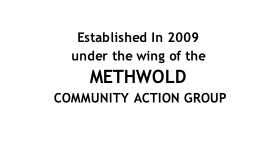 Methwold village has been sited carefully to take advantage of a location which is near the edge of both the fens and the brecks. The village is situated on a sloping site on the edge of the chalkland which rises out of the surrounding lowlands of the South Level. The landscape to the east of the village, where the Thetford Forest begins, is totally different to the wide panorama of fenland to the west. Just before the Second World War, an airfield was built to the south of the village to be a short term satellite to the existing airfield at Feltwell. 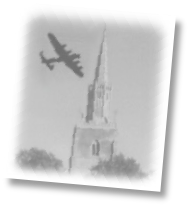 The steeple of St. George’s Church, standing on high ground in the village centre, provided a marker for many returning RAF and USAF aircraft during the war. The present church of St George was constructed in the 14th and 15th centuries and firmly established the new centre of the growing settlement on the high ground. Because of the elevated position of the church with its dramatic tower and steeple, the village can be seen for miles across the fens. the views out across surrounding countryside from the village are also an important aspect of its setting. Clearly Methwold has been a village of substance in the past and retains many imposing buildings such as St. George's Church, the Old Vicarage which dates from the 15th century and Lancaster Park - an exquisite late 18th century house and associated 19th century agricultural complex with a parkland setting. In a sense the village still retains the flavour of "ages-gone-by". It does not suffer from the impact of high levels of through traffic and has not been dominated by 20th century development. It is a village which still retains strong links with agriculture and its streets and most of its buildings have not been unsympathetically "over beautified". Many of these buildings and spaces contain a wealth of interesting architectural detailing including the timber cross at the junction of Old Feltwell Road and Crown Street.